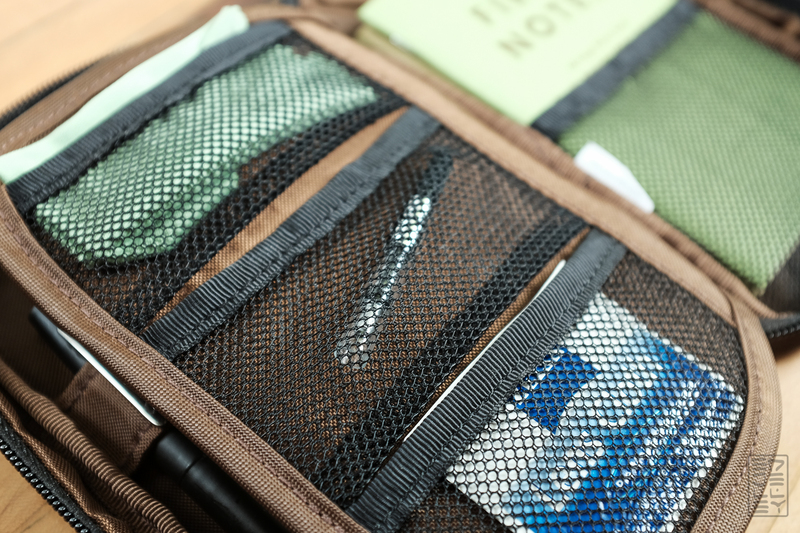 The Lihit Lab Teffa pen case is a great option for those looking for a grab-and-go solution to carrying all of their stationery essentials. 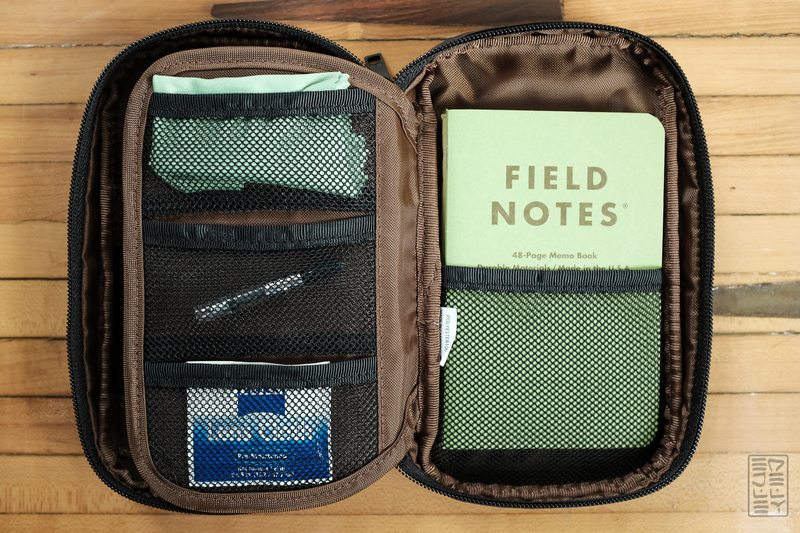 The case is small, yet organized and can fit a surprising amount of stuff inside. Everything in the photo above fits into the case without bulging or jamming anything in there. I’m very happy with the amount of stuff that this case carries with ease. The inside dimensions are large enough to accommodate both large and small writing utensils, and plenty of them. 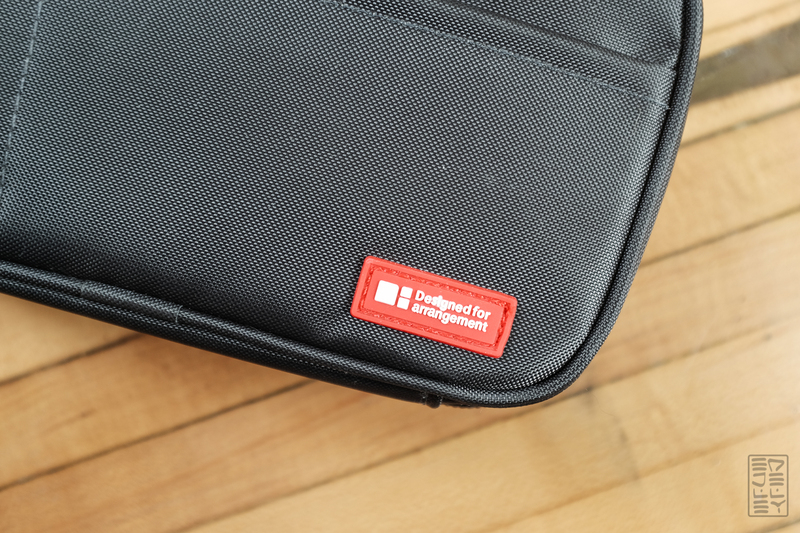 The case has some nice details, like a double zipper and rubber patch. 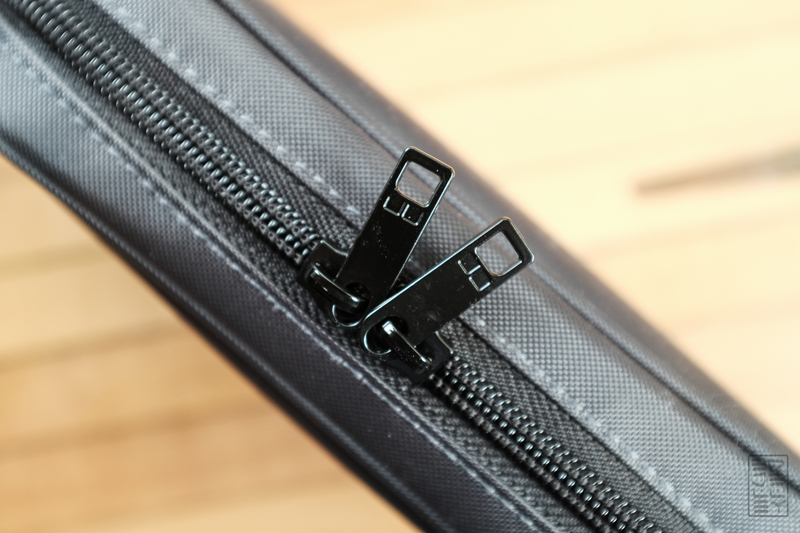 The zippers are smooth and feel like they’ll last a long time, I’m not worried about long term durability issues.  There are also two small pockets on the front of the case, the larger one is ideal for business cards. This makes it especially easy to grab one or two without opening up the whole case. What makes the Teffa unique is the internal divider. It allows you to separate items if you wish, but also allows for more organization. This case is great, but not without a few downsides. The pen storage section has no protection between pens – I wouldn’t be putting my Nakaya in there. The pens are in contact with each other, so be mindful of what you keep in the case. I’d hate to see a machined pen knock the finish off of a Pelikan or scratch up a Montblanc. I like this pen case quite a bit. It’s a great solution for grab-and-go. I find it especially useful when switching between bags. It’s also pretty great for moving from my desk at home to at work, or from my desk to the couch. The Teffa is reasonably priced at just under $15, and the construction is nice for the amount they’re asking. I’d definitely recommend the Teffa for lugging around those pens that you might not mind dinging a bit! Thanks to JetPens for sending the case over for review! Disclaimer: This was received as a review unit, free of charge. All opinions are my own. I like this case quite a bit, too. I’ve had one for a while. 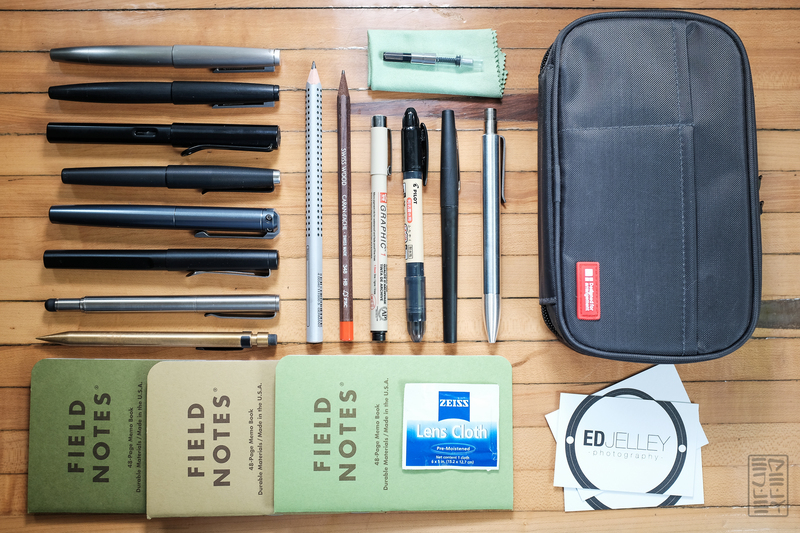 Although I bought it to house the mass of pens I used to carry around–I only carry three now, at most–I found it perfect for my iPhone, earbuds, cables, charger, folding iPhone stand and screen cloth. I used to carry an old iPod in there, too, but I no longer own it. Very durable and, as you said, roomy. This looks like a functional carry case with a slightly military style utility. There is some similarity to the junior general style cases that held a; mag light for map reading, a small notebook, map, grease pencil and maptac covered map. 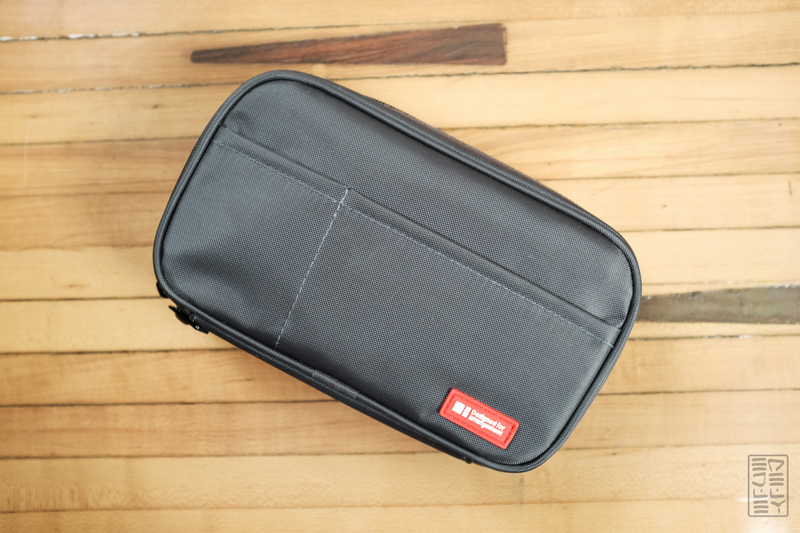 This case has all that space and utility and no camo designs so its ready for the office, home, school etc and can be easily slipped in to the courier bag, satchel or knapsack. Very cool. I would think it could only be made cooler in each of your readers hands and perhaps filled with Black Pens. 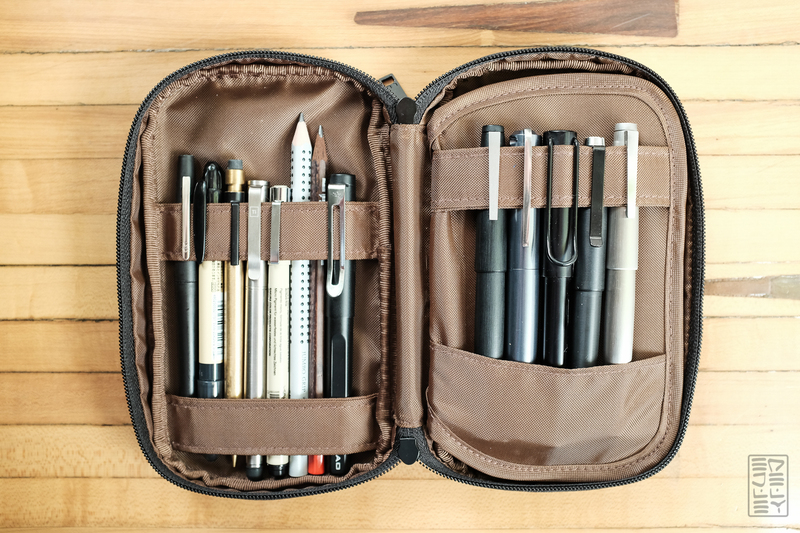 My ideal pen case would be similar to this but with pen separation. I like the space for a notebook and pockets for erasers/cartridges etc. but I really don’t like my pens to touch. I really like the look of this case. Been looking for a while for something which will hold collection of pens plus field notes – think this might be the one!